We learned how to think outside of the box when formulating and customizing color. A portion of this class was spent working on models. Each model had a different hair history and each wanted something different for their color. Our team worked together and brainstormed how to create the perfect end result for each model! You guys know how much we love to do creative colors! We primarily use Pulp Riot in our salon to achieve those bright and vivid fashion colors. This class was an incredible opportunity for us to further our knowledge about Pulp Riot and how to create a multitude of different shades! During the model portion of this class, it was so amazing to witness our team collaborating together and working as a team to create mermaid hair! Our stylists also learned more about how to educate you of keeping your color fresh at home (up keep is SO important!). 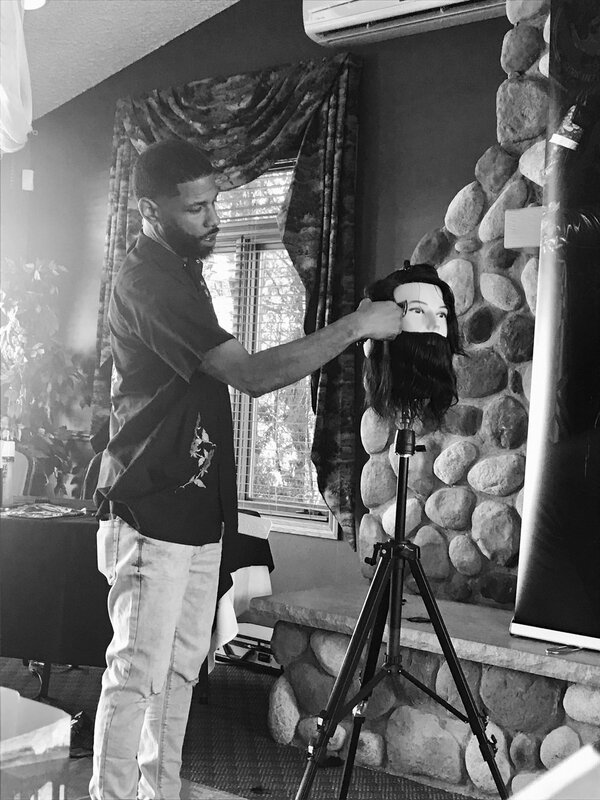 Gibs Grooming Clipper Cutting Class: In this course, our stylists learned classic clipper cutting techniques as well as how to customize each haircut based on individual style, head and face shape, and hair texture! Cheers to all of these incredible educators! We are forever grateful for opportunities to push ourselves to be the best.